This College came into existence in 2009. The college commences its activities with the enrollment of 51 students in the 1st batch in 2010. Since inception, the college has undergone tremendous development and became a splendid centre for learning and development. At present we are enrolling 110 students each year. Among them, numbers of seats are reserved for overseas students. We continue to evaluate and improve our programmeme to ensure the best medical education for the students. Our educational strategy is to create a conducive learning environment and to steer our students to acquire adequate knowledge, skills and temperament to practice medicine and be a competent health care professional group. 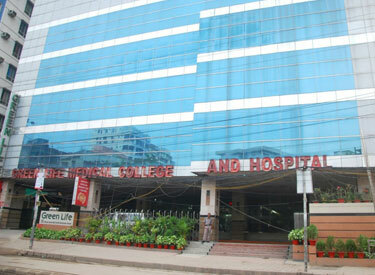 Green Life Medical College (GMC) is approved by the Ministry of Health and Family Welfare (MOHFW), Government of Bangladesh and Bangladesh Medical and Dental Council (BMDC) and affiliated to the University of Dhaka.